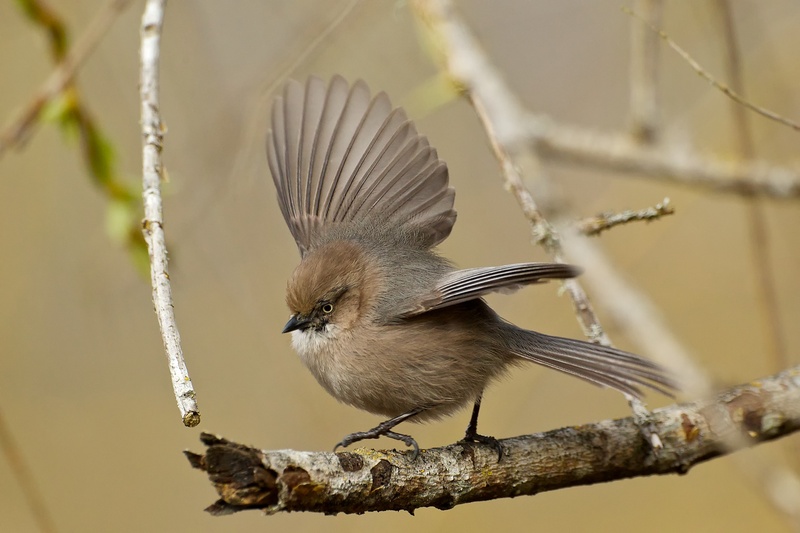 The pale eye of this Bushtit tells us it's an adult female (males and females younger than four weeks have dark eyes). They pair off to nest in spring but spend a majority of the year in large flocks of 30+ birds. Their light weight (as little as four paper clips) allows them to hang underneath foliage to glean insects that other birds can't access. Learn more about these fascinating birds in this BirdNote show.